You sure you seated the o-ring all the way? I've done this and my dipstick read fine. Well have a filter relocation kit causes you to need more oil so it's going to read a little lower. Where did you get this new dipstick from?? I thought the kit from MiataRoadster that had the correct dipstick wasn't available anymore. Are you sure it's the correct kit? Yes it's his! Got like 2.5 yrs ago and it got lost in my move, found it last month in my dads old tool chest! I'm a little skittish to add to much more oil, I could try another 1/4 of a quart and see what it does. I just took a 10x1.5 metric die and cut some threads onto the broken plastic end, got some aluminum rod and cut some threads onto the end of the rod, then using JB Weld, took a nut and screwed it down midway. Then put the threaded rod into the top of the nut with more JB Weld. I put some silicone tube over the Al rod bent to shape a handle. Cool to the touch when motor is hot. It's held up for 2 years now, no problem. Easy cheapo fix. No worries about oil levels. That wasn't the point of the kit he installed. It replaced our hard to read dipstick with a dipstick assembly with a different style dipstick which was much easier to read. There were a finite amount of these available and I do think Miata Roadster had bought them all and when he sold out, and he did, they were gone. There were a large number of 1999 - 2000 Miatas sold in California trim. 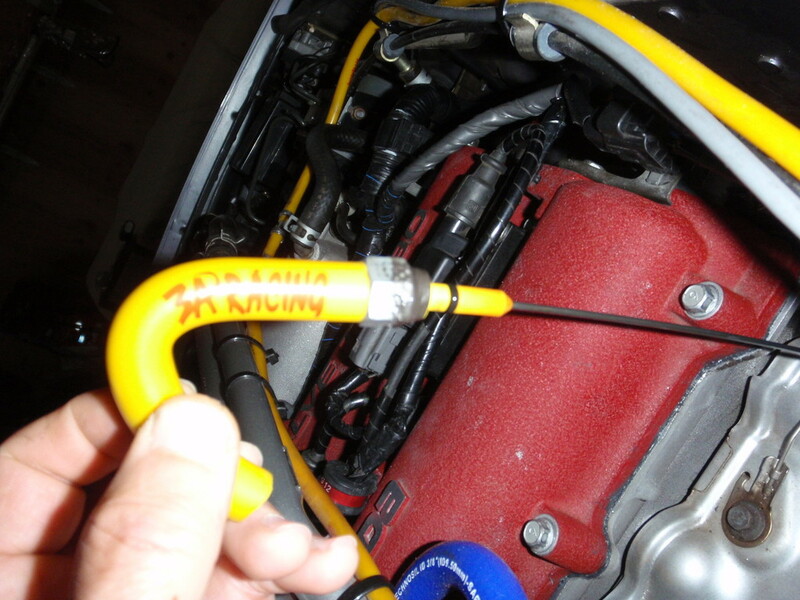 It is not too hard to find a dipstick and tube here in California.